Since September 1974 the former Carnegie Library has housed the Livermore Heritage Guild’s History Center and the Livermore Art Association’s art gallery. Livermore, California, (population 81,430) is the easternmost city in the San Francisco Bay area. Founded in 1869, the city is in one of California’s oldest wine regions. Led by pioneer winemakers C.H. Wente, James Concannon, and Charles Wetmore, the Livermore Valley helped shape California’s wine industry in the 1880s. Today, Livermore boasts more than 40 wineries and 5,000 acres of vineyards. Livermore also developed as a technological hub after World War II, becoming home to renowned science and technology centers, the Lawrence Livermore National Laboratory and Sandia National Laboratory. In addition to wine and technology, Livermore’s arts, culture, and western heritage contribute to the community’s character. Livermore’s historic downtown is enjoying a renaissance, helping re-establish Downtown as the city’s premier shopping, dining, entertainment, and cultural district. With the addition of several residential projects, artist work/live spaces, and a pedestrian-oriented environment, Livermore has enhanced its urban living experience. 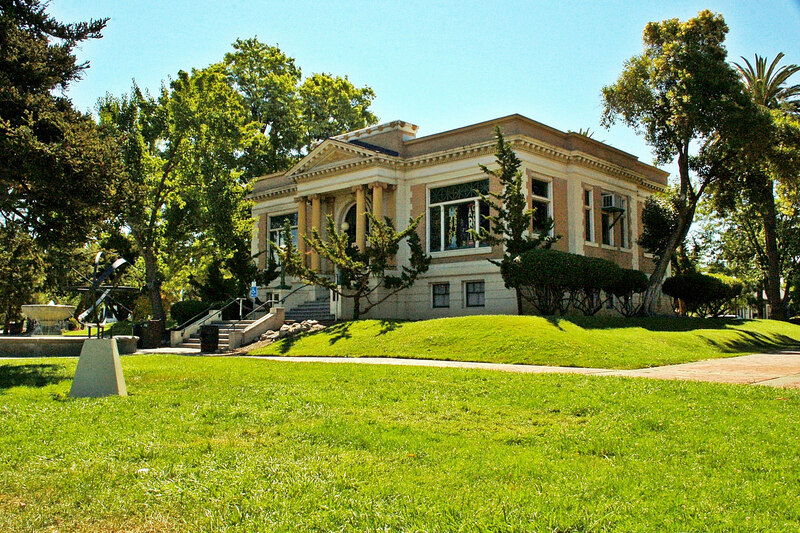 One of the city’s most significant historic resources is the Carnegie Library, now home to the Livermore Heritage Guild’s History Center and Museum. Tour maps, brochures, and helpful docents are on hand to educate visitors about local history. The museum works with the school district on programs for integrating local history into the classroom. The library, a well-preserved classic revival temple, is also the centerpiece of a park that hosts many events throughout the year, one of which is the weekly Farmers Market. The Farmers Market draws thousands of residents and visitors who enjoy the community’s heritage. It’s a great opportunity to stroll, chat, and purchase produce from local farms, while enjoying performances by local musicians and artists. In 1988, Livermore created a Historic Resources Inventory (HRI) that includes 260 properties. Residents and staff use the inventory for advice on preservation and rehabilitation of the city’s historic resources. The city also adopted the Downtown Specific Plan in 2004, which included an HRI update focusing on existing and newly identified resources in Downtown. The Livermore Heritage Guild, in partnership with the city, was instrumental in listing the D.J. Murphy House as one of the city’s four National Register-listed properties. The Guild has also collaborated with the city in planning the rehabilitation and adaptive re-use of Downtown’s 1892 Railroad Depot, and is currently current working on the restoration and relocation of the 1870 Midway School, a one-room schoolhouse. For the 2008 National Historic Preservation Month, the Guild sponsored the first Historic Livermore Legacy Home Tour. In the 1970s, the city established the Historic Preservation Commission (HPC) to help promote and preserve its western and agricultural heritage. The HPC surveys and registers historic resources, makes recommendations regarding historic properties, and offers preservation advice to building owners. City council has given 40 commemorative bronze plaques to owners of historic properties that have rehabilitated or maintained their properties to historic standards.